Imagine walking into a twinkle lit, rose petaled, warm, sweet smelling room with your partner while sipping on some bubbles. 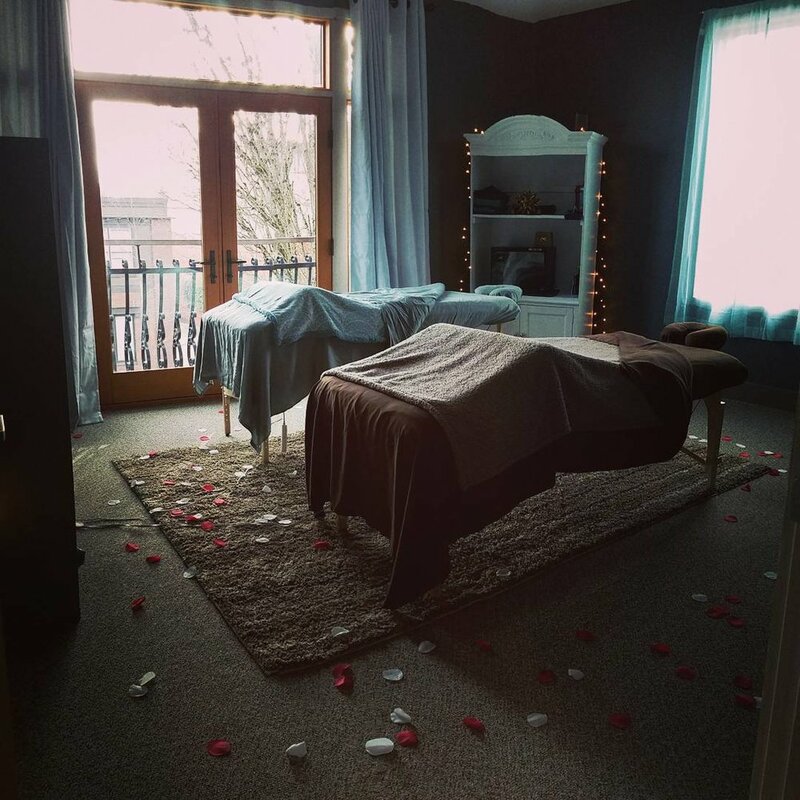 A romantic setting for couples massage. Escape from reality for a moment and waken with sweet treats. Soak your feet in warm Dr Teal's salt water, enjoy a wonderful sugar scrub from the knees down and ending with a Shea butter massage with your partner by your side! 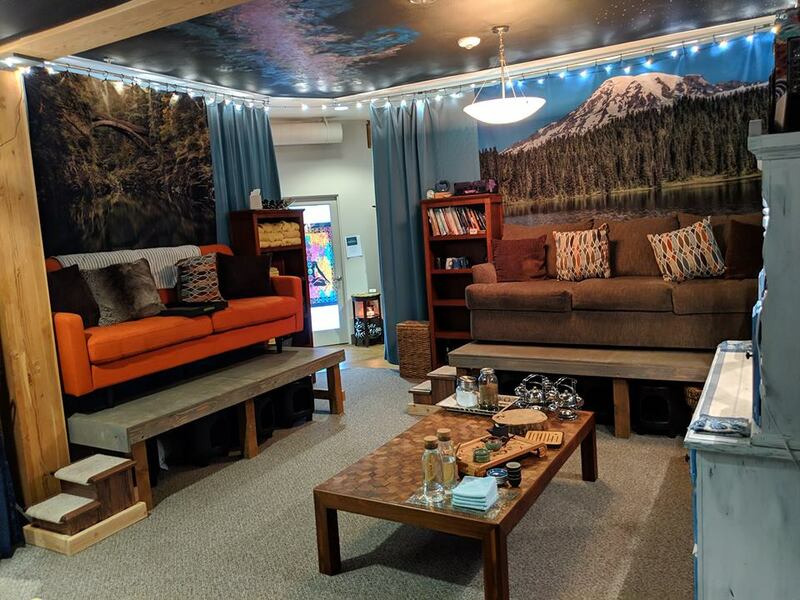 This service is an hour long, one partner soaks for half of the time while the other is receiving the foot and leg massage then the therapist transitions to the other partner. A spa day with your partner or best friend. How fun would it be to spend all day at the spa with your loved one? Foot and drinks can be ordered from our restaurants upon arrival and served during the foot massages. We can ACCOMMODATE up to 2 couples massages at one time. (Double date night!) 3 weeks in advance is more doable. 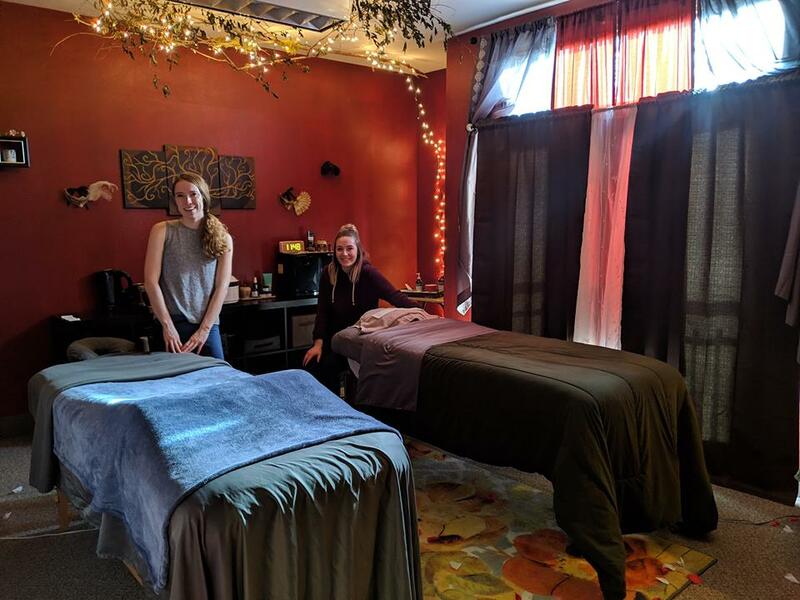 "A Couple of Feet" doesn't just have to be with your partner, bring in a friend for their birthday, a maid of honor treating the bride, mother-to-be and her mom (3 generations relaxing at once!) possibilities are endless, but do you really need a reason to relax with a friend?? ?